Have not syncronised the full organisation into the User Profile Service. The Conditional Formatting feature can be used to highlight on the chart which AD accounts have been disabled, locked out or that have an expired password. 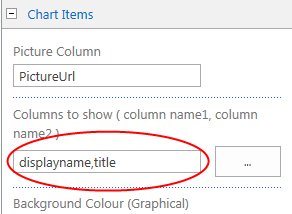 Enter a comma separated list of the field names that are required to be displayed in the boxes into the Chart Items > Columns to Show configuration option. The Data Sources > Start Value property can be used to control the starting position in the organisation chart. 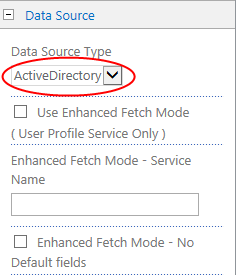 Putting in an individuals active directory account ID will force the chart to start at that postion. 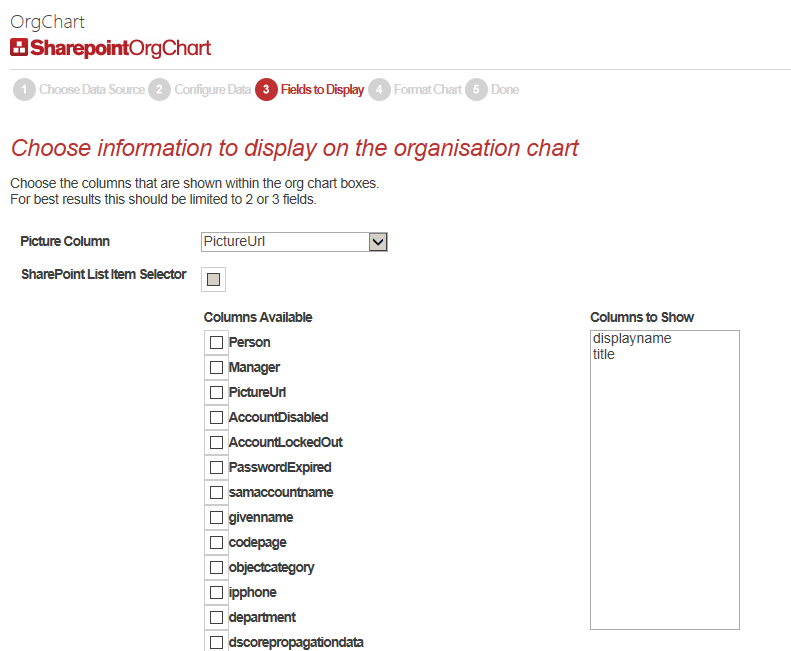 If Data Sources > Start Value is not set then the organisation chart will start from the current user. 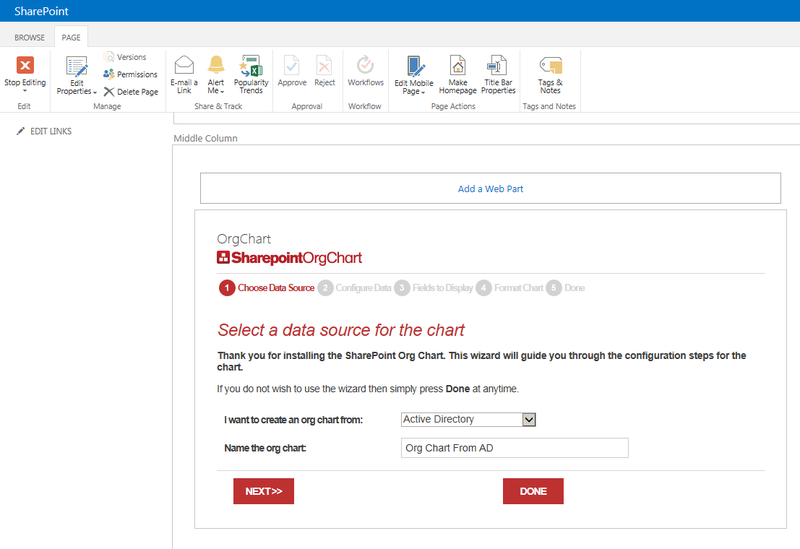 Add a new SharePoint Org Chart web part to the page from and select Active Directory from the drop down list. Press Next and go straight to the Fields to Display configuration page. For further information on configuring the chart with the wizard please refer to this guide. 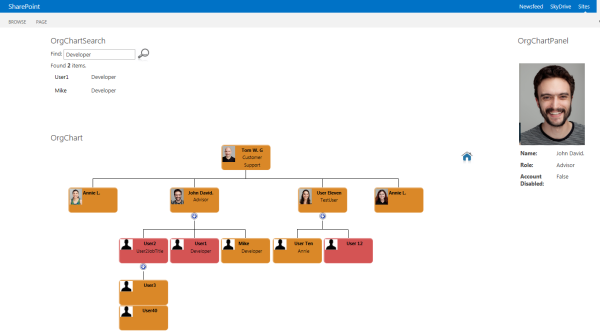 Once the configurtion is complete the search web part and information panel can be added to the page and configured to work with the organisation chart.